Dentists like Dr. Medina prefer to use composite fillings over other materials due to their more natural look and long-lasting effects, as well as their reputation as a safer material. At our dental practice, giving you a healthy, long-lasting smile is our number one goal. Composite fillings are just one of many state-of-the-art procedures that go toward achieving it and are a solution to even heavily damaged or decayed teeth. Old fashioned dental fillings are amalgams — the classic, silver caps that people think of when having cavities filled. Composites use high-tech synthetic resin, a more recent dental filling material, to completely fill the affected tooth and restore its natural shape, strength, and integrity. It is for this reason that composite fillings are more widely-used today, and are among the best options for restoring your teeth to their natural look and bringing the shine back to your smile. Composite fillings take only a short time to place, usually requiring no more than one appointment. Once the affected tooth is numb, your trained dental technician will clean and prepare the cavity for filling. Depending on the type of procedure, your dentist may use direct or indirect dental composites. Direct dental composites require a hand-held curing light to make sure the resin sets properly and are used for filling gaps between teeth, minor reshaping, and partial crowns on single teeth. 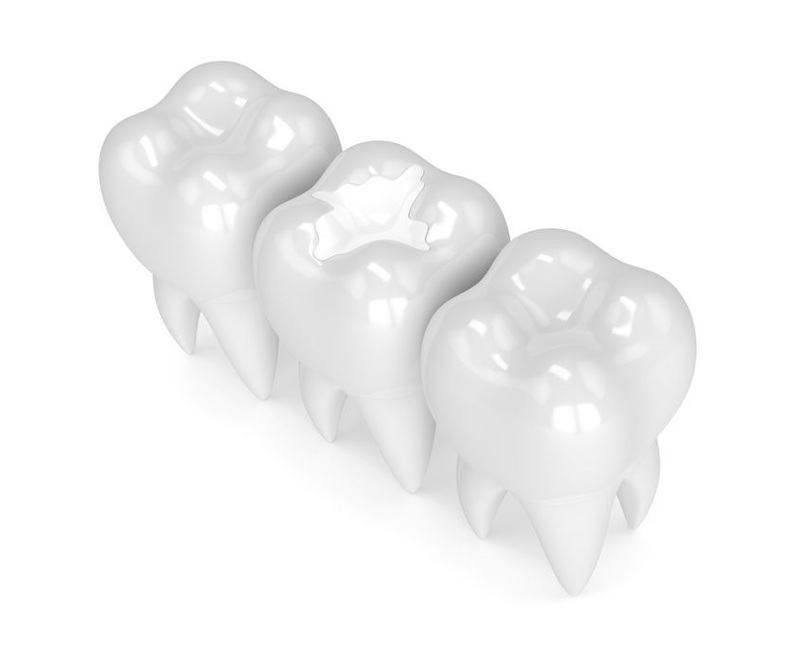 Indirect dental composites, however, are for filling full cavities, bridges spanning 2-3 teeth, and complete reshaping. Indirect composites do not require the same curing methods and result in a strong, durable repair for your teeth. Preventative care is a key part of maintaining a healthy mouth, and composite fillings are no different. Normal dental care and proper dental hygiene are a must if you want your fillings to last. Though they may restore your teeth to their original strength and appearance, only through regular brushing and flossing will they stay that way. Your cavity may be appropriate for laser dentistry, the latest dental technique that is virtually pain-free. We can use this advanced tool to remove decay and prepare your tooth for the filling. Lasers are pain-free and so they don’t require a shot to numb the area. Learn more about our laser dentistry or ask Dr. Medina at your appointment if this might be an option for you. Need a composite filling done in Las Vegas? Schedule an appointment with Dr. Medina today!